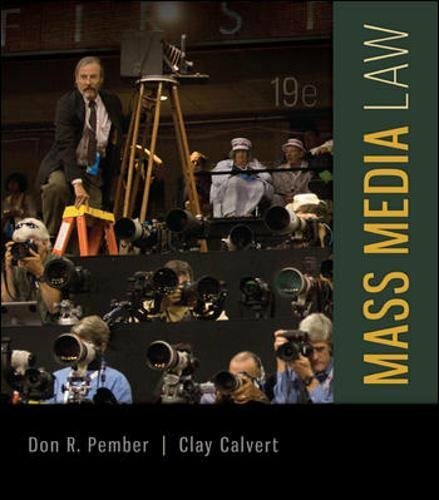 77861426 -In its 19th edition, Mass Media Law offers an updated look at the ever-changing landscape of media law. It continues to provide undergraduates with the foundation they need to understand the field, going back to the adoption of the First Amendment, and quickly brings them up to speed with the most current issues. In their popular conversational style, Don Pember and Clay Calvert introduce students to the newest threats to journalism and the role technology plays in the field of mass media law. The attention this program provides to both historical and contemporary issues gives students the background they need to fully understand the controversies surrounding speech and press across media.